At Cambridge Intelligence, we believe in continuous growth, that’s why we support our people in their career and personal development. Everyone gets five days a year which they can use to attend a course, training, a conference or anything else they feel will improve their development in their role. In this blog post we highlight the experiences of two Cambridge Intelligence developers and how they chose to use their personal development plan (PDP days). 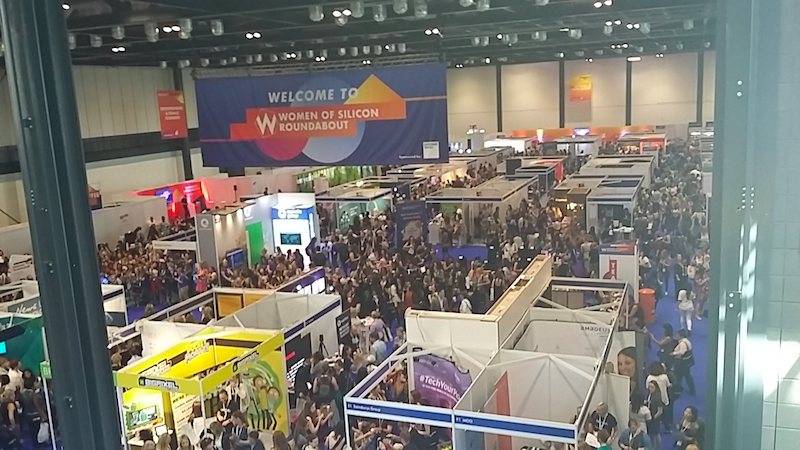 Julia decided to attend the Women of Silicon Roundabout Conference in London. The event is designed to enable people and organizations in the technology field to connect, learn and take action on gender diversity and inclusion. “With 14 tracks and over 100 talks to choose from, I was spoilt for choice. I decided to focus on the Career and Personal Development track which had sessions on giving talks, ways to progress your career and how to stop perfectionism from holding you back. There was also plenty of time to network. It was great meeting other women in similar fields to mine, sharing ideas and learning from each other. For his PDP days, Phil – our longest serving developer – chose to attend the IEEE VIS conference in Berlin, which brought together visualization experts from around the world. It’s one of the largest and most varied conferences focusing on visualization, and it’s a great opportunity to find out about new developments and to meet the people working on them. “As a developer it’s important to stay on top of the latest technologies and advancements. The IEEE VIS conference was the perfect opportunity to do just that. There was a huge variety of presentations on multiple tracks. Some of the most interesting sessions for me focused on visualization for cybersecurity, new tools for data visualization practitioners, and different approaches to time series data. The growing impact of AI on the visualization field was also a recurring theme. There were also plenty of opportunities to mingle with other delegates, including some very well-known names in the visualization field. In the evenings, I had the chance to attend evening events at the conference centre, and explore Berlin, including a trip to the opening of the CityVis exhibition about data visualization for cities. PDP days are just one of the many benefits of working with us, there are plenty others. If we sound like the kind of team you’d like to join, we may have the role for you.